If you’re not a “wish you were here” t-shirt person or if you’re not interested in the tacky souvenirs, consider thinking outside of the box. I am a subscriber to Birchbox and every month I get a nice cardboard box with samples in it. I save these boxes because they’re just too nice to throw away. Turns out, they are fantastic travel keepsake holders. I usually save post-cards, stickers, receipts and other items from my travels and they all fit nicely in here with easy access for a trip down memory lane. 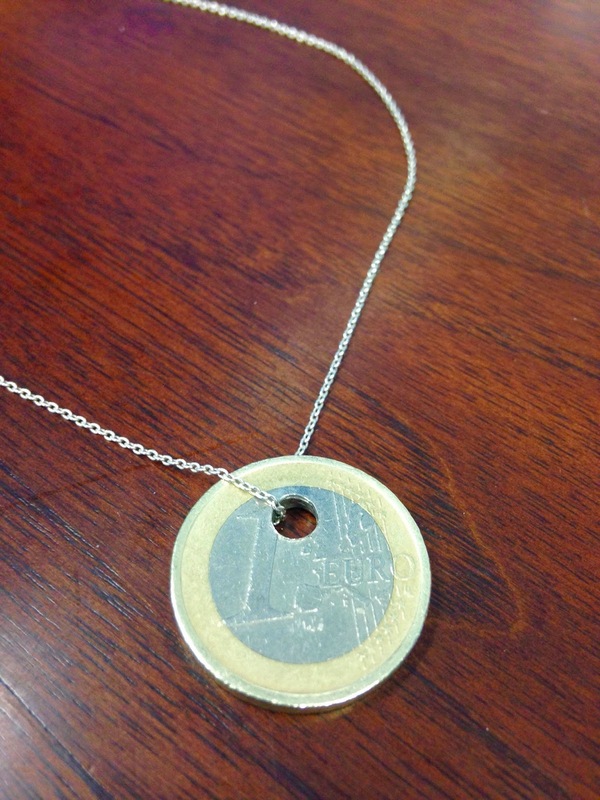 For Christmas this year, my husband found an old Euro from one of our last trips and made me a necklace. It’s simple and yet I’ve received dozens of compliments. It’s also nice to wear around something from my trip. Instead of trying to haul back large items, I purchase my favorite art print post-cards from museums and frame them. 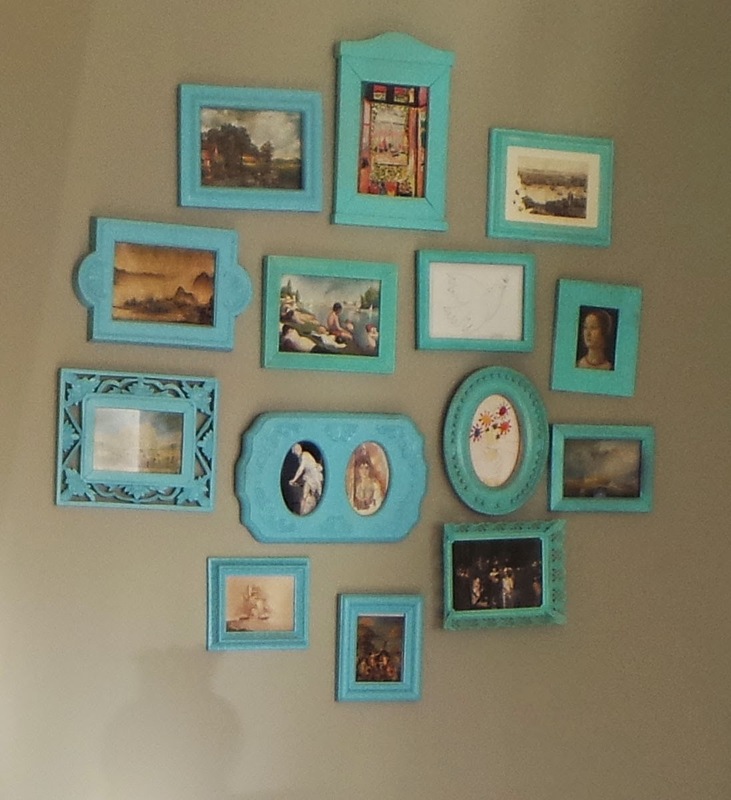 They would be too small on a wall by themselves, but after 5 or 10 of these it makes a great little collage and reminder of all the great art work that moved you while you were away. How about you? 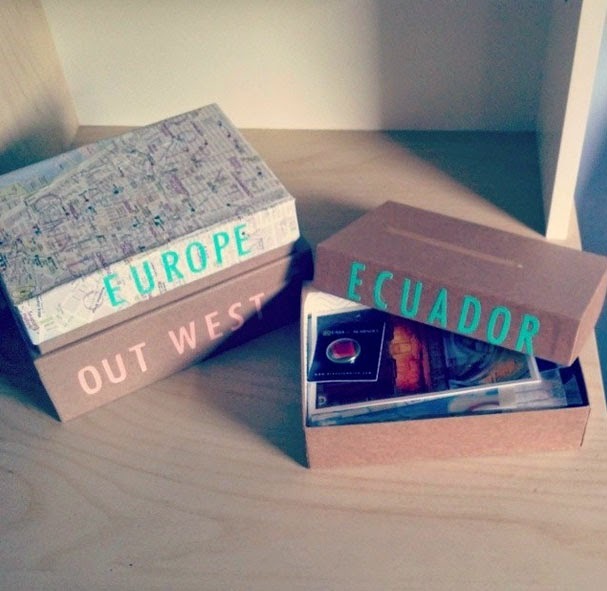 How do you display your travel keepsakes? That's a great idea to purchase postcards and then frame them once you get home. My most memorable souvenirs are from a family vacation about ten years ago. We went with another family to the Bahamas. We brought back a few conch shells (along with sand, hermit crab shells, and sea glass). These are on display in my parents' home in the bathroom, and provide a bright, happy feel. The shells are a great idea. Anything small that takes up less space is good in my book. How did you manage to get them home without breaking them?